The present work investigated the interpersonal functions of facial mimicry after social exclusion. Specifically, we examined two distinct functions that facial mimicry may serve in promoting reconnection: facilitating the understanding of others’ emotions and/or fostering interpersonal rapport. 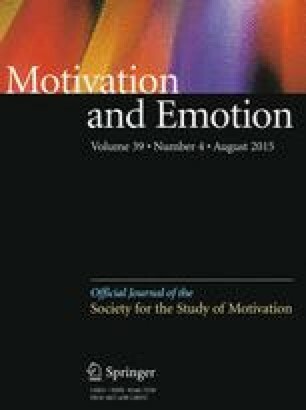 Using a novel facial mimicry paradigm, we found that although people exhibited both greater facial mimicry (Studies 1 and 2) and superior emotion-decoding accuracy (Study 2) after exclusion, facial mimicry did not mediate the relationship between exclusion and decoding accuracy (Study 2). Instead, we found support for facial mimicry serving to promote interpersonal rapport. Specifically, in Study 3, naïve judges rated videos of target-participant pairs from Study 1 for social closeness. Findings indicated that pairs with a previously-excluded participant were rated as socially closer than pairs with a previously-included participant (Study 3). Importantly, enhanced facial mimicry was found to mediate the relationship between exclusion and rated closeness. Altogether these findings suggest that facial mimicry may promote reconnection after social exclusion by fostering rapport.